The Male-Female, Run Tee has a compressed air fluid with an extensive pressure of 80 bar while its operating temperature is -53 to 121°C. 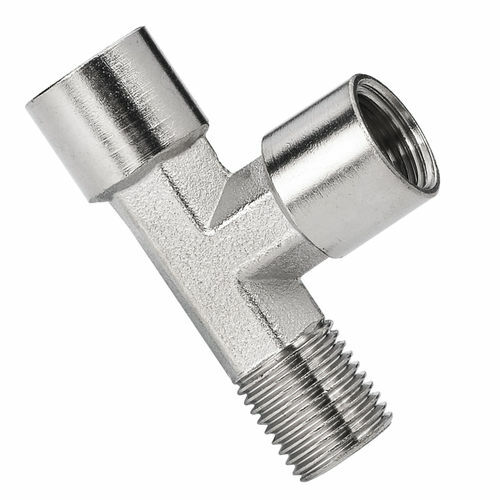 It provides a connection of two female ports at a 90° angle to a male thread. Brass material for corrosion resistance, ductility at high tempereatures, and low magnetic permeability. 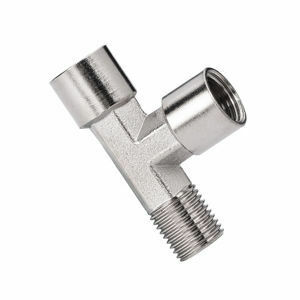 Brass pipe fittings are components used for connecting, terminating, controlling flow, and changing the direction of piping in many different industries. Typically used in water, grease, fuels, LP and natural gas, refrigeration, instrumentation and low pressure systems.